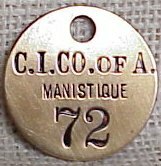 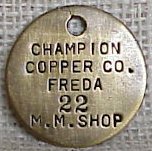 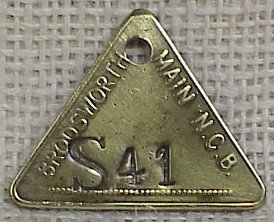 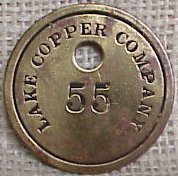 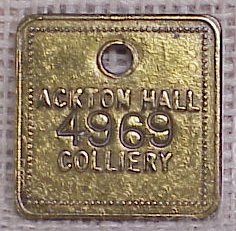 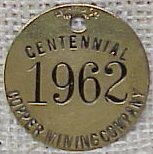 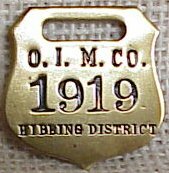 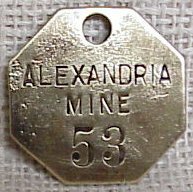 These tags, mostly brass but sometimes aluminum, copper or zinc, were used for several purposes. 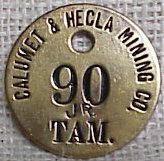 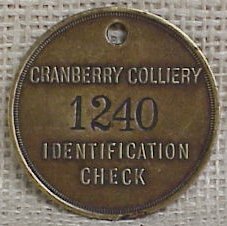 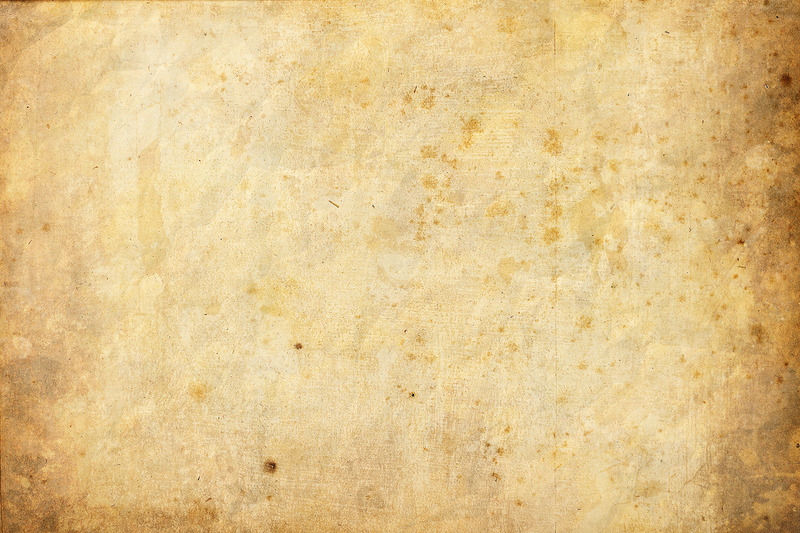 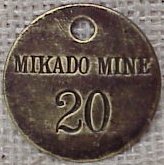 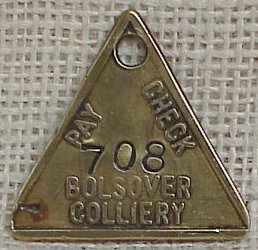 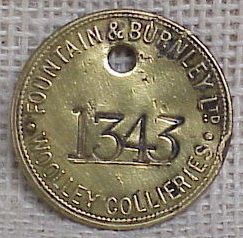 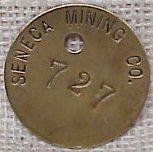 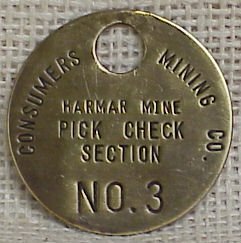 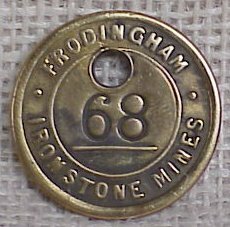 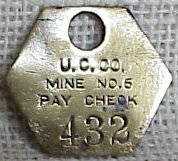 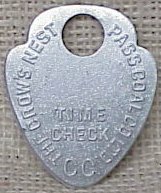 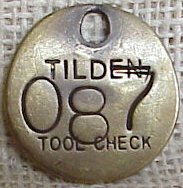 In coal mines they were used to identify which miners were underground at a given time by the presence or absence of their tag on the check board. 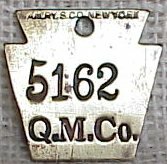 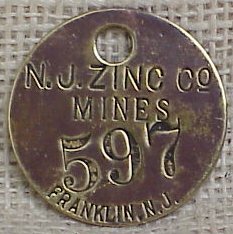 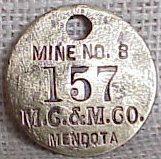 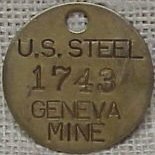 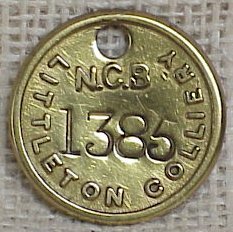 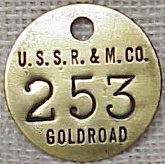 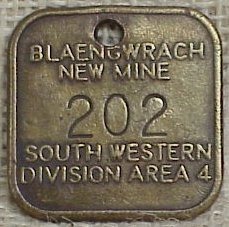 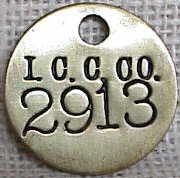 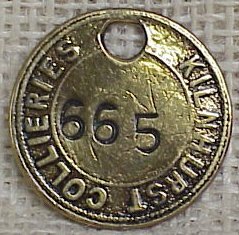 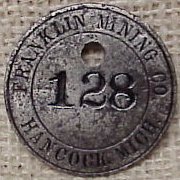 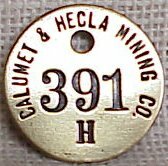 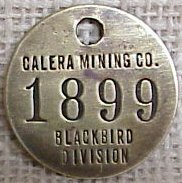 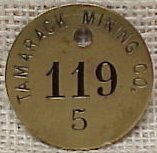 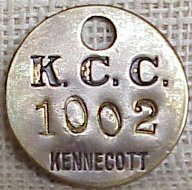 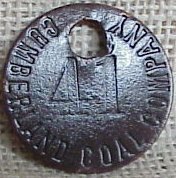 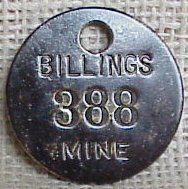 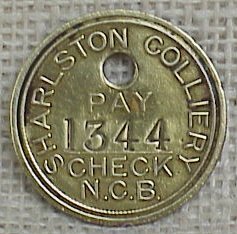 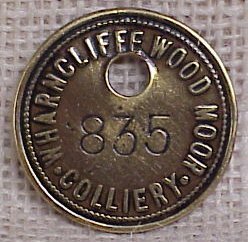 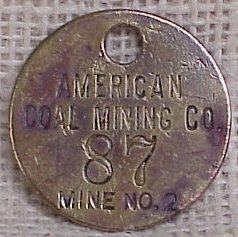 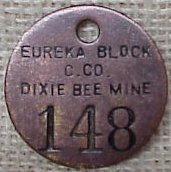 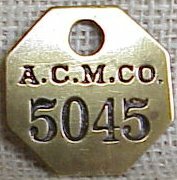 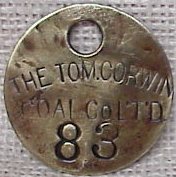 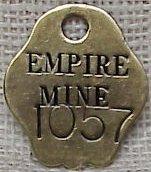 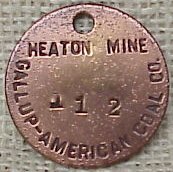 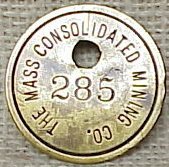 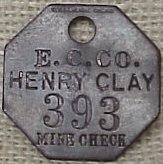 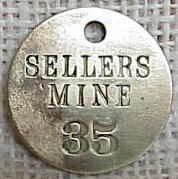 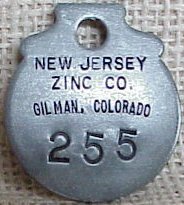 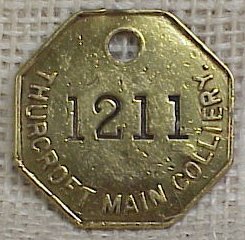 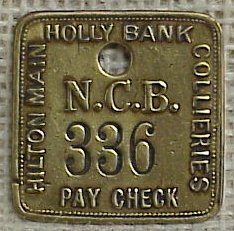 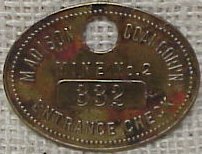 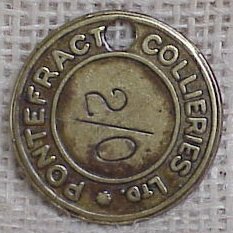 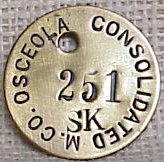 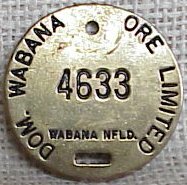 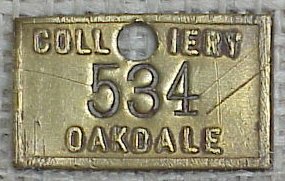 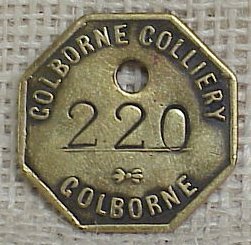 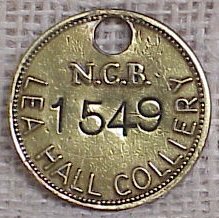 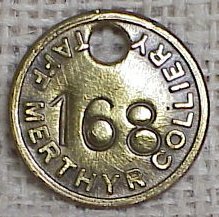 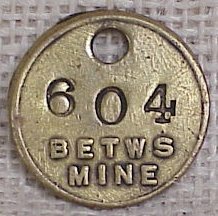 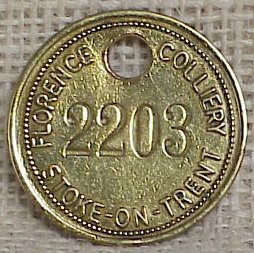 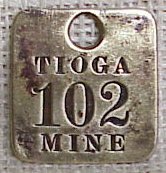 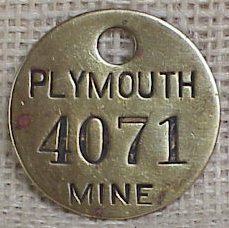 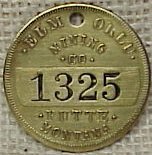 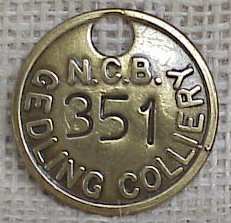 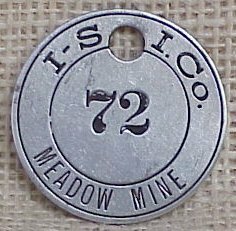 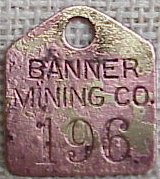 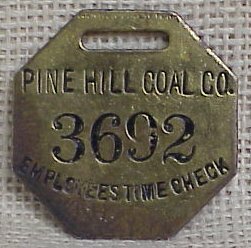 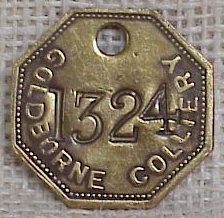 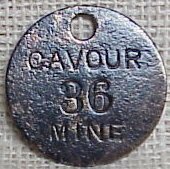 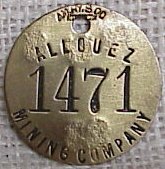 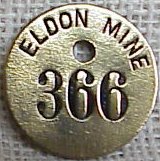 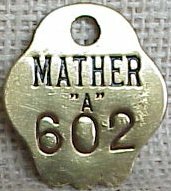 Each coal miner was assigned a number and the number on his tag corresponded to a group of tags with the same number that he kept to hang on the coal cars that he filled and sent for weighing. 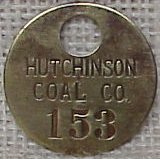 The weigh-checkman recorded the number of cars and weight of the coal the miner sent out. 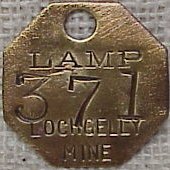 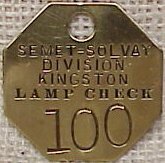 In coal mines they were also used to identify which miner was given which safety lamp from the lamp house.